Limited time only! 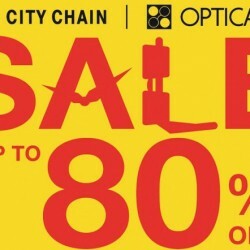 City Chain: The Great Singapore Sale with Up to 60% OFF, $188 Special Buys, $99 2nd Pc & Prices as Low as $38! Are you ready for something GREAT? 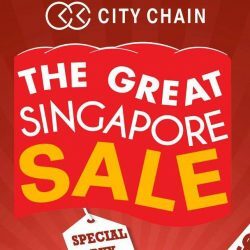 Make some time and come on over to any City Chain store near you for their Great Singapore Sale and get big discounts on purchases that you will love! More timepieces have been added on SALE! Check out their best buy recommendations at any City Chain stores today. While stocks last! 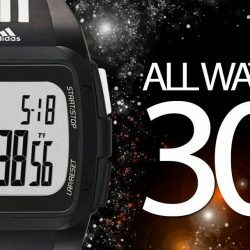 City Chain: 30% OFF All Adidas Watches! SALE: Get 30% off all, AND WE MEAN ALL, ADIDAS watches! Check out City Chain's CNY promo happening now at Zalora till 4 February 2016! 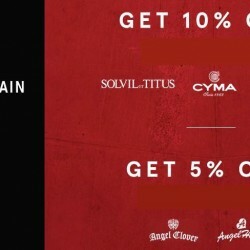 Get 10% off watches from Solvil et Titus, Cyma, ellesse and 5% off Angel Clover, Angel Heart, Jacques Farel, OBAKU and Seagull! 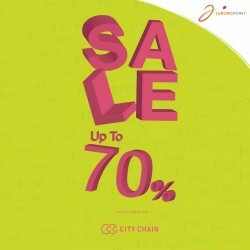 Enjoy up to 70% off selected time pieces at City Chain Jurong Point! 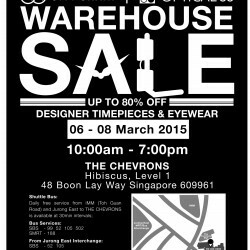 Happening for a limited time only (25 May- 19 Jul 2015). so what are you waiting for? garb now! Purchase selected Obaku timepieces at $99 nett (U.P. $219-249) with any purchase.